Stand out from the crowd at your next training session in this Pro Gilet. 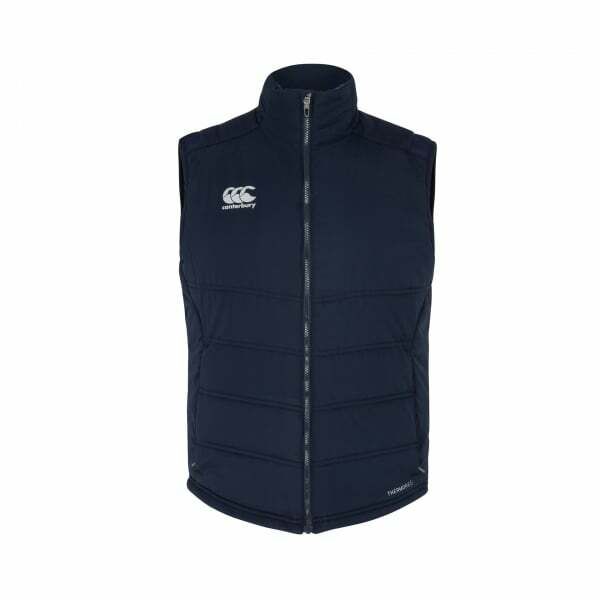 In line with Canterbury’s tradition of utilising cutting-edge fabric technologies, this gilet delivers outstanding breathability and protection with its water-resistant and quick-drying Vaposhield coating. Our Thermoreg insulation means that you will be ready to take on the elements whatever the weather. This gilet provides exceptional range of movement with its sleeveless design. Lightweight yet warm, the gilet will immediately turn you into a trendsetter with its reflective CCC logo on the front chest as well as reflective detailing. The full zip ensures you can wear this gilet as you like during the weather changes, and the stylish design makes it suitable on the field or for a catch-up with mates after a training session.